Happy Memorial Day! I hope everyone is enjoying their day! 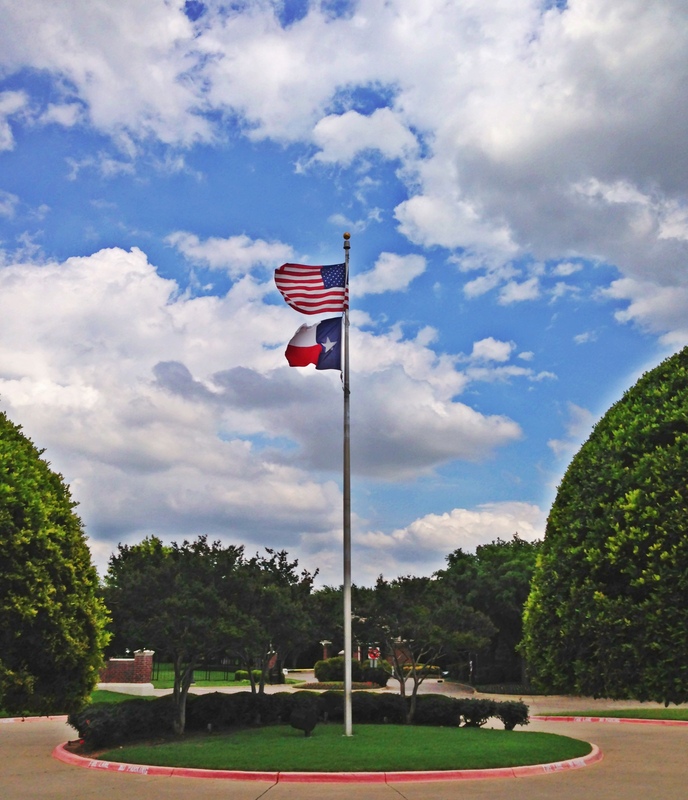 With nice weather in Texas, we’ll be out enjoying the sun all day long. 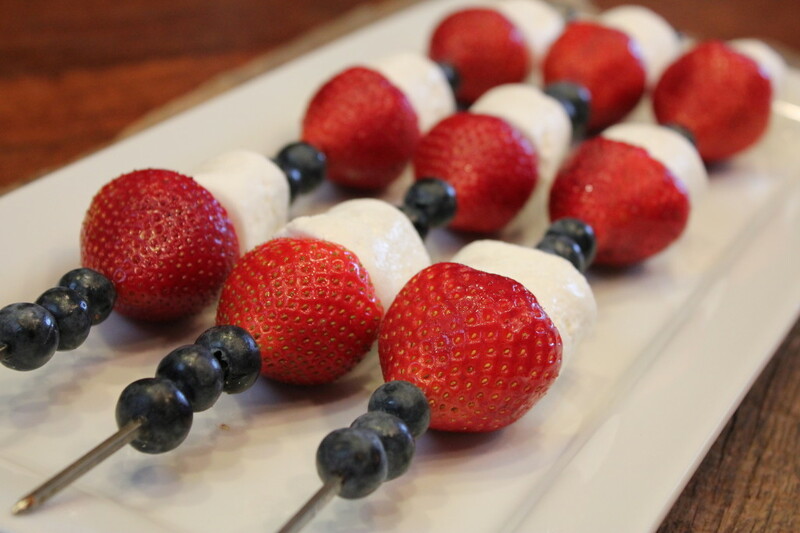 If you’ve got plans for grilling out or meeting up with friends, check out this super simple Patriotic Fruit Skewer recipe below. 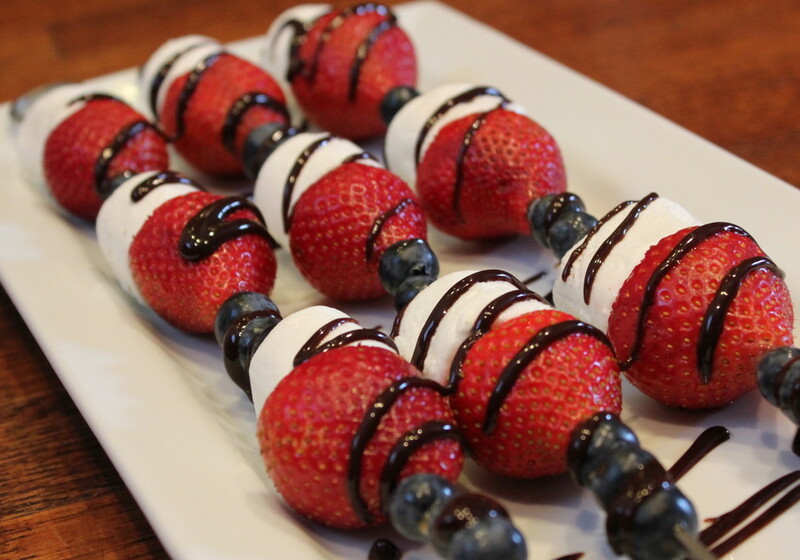 With patriotic red, white and blue colors of strawberries, blueberries, and marshmallows, these fruit skewers are perfect for backyard BBQs on Memorial Day and/or the 4th of July. Drizzle a little chocolate fudge sauce on top, and you’ve got a winner! You can arrange the fruit any way you want. I threaded 3 blueberries, followed by a strawberry and marshmallow, and repeated the pattern three times. You can also thread fudgy brownie bites on these as well! I plan on baking these chewy brownies today, and will be adding them to the fruit skewers. Don’t forget the chocolate fudge sauce; you could even dust them in powdered sugar. Yum! 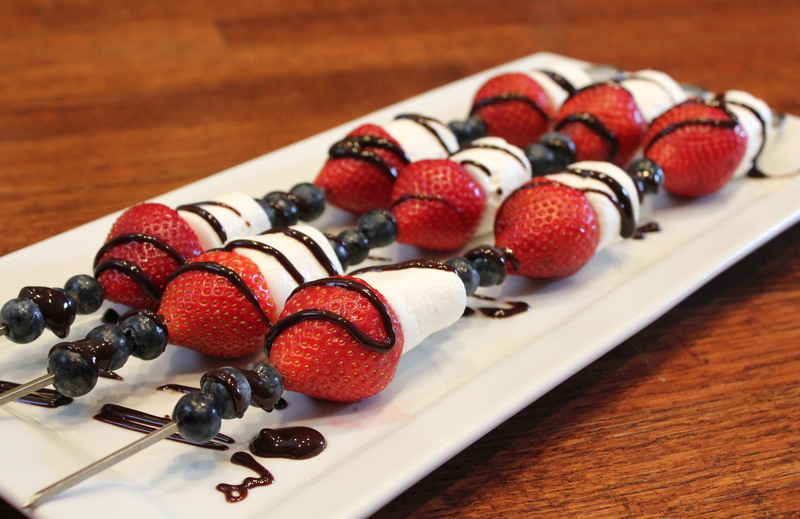 Thread fruit onto skewers, alternating between three blueberries, 1 strawberry and 1 jumbo marshmallow. Perfect for Memorial Day or 4th of July festivities! Enjoy! What are your Memorial Day plans? We’re going to swim and grill out with neighborhood friends. Wash and dry berries. Cut the stems off of the strawberries. 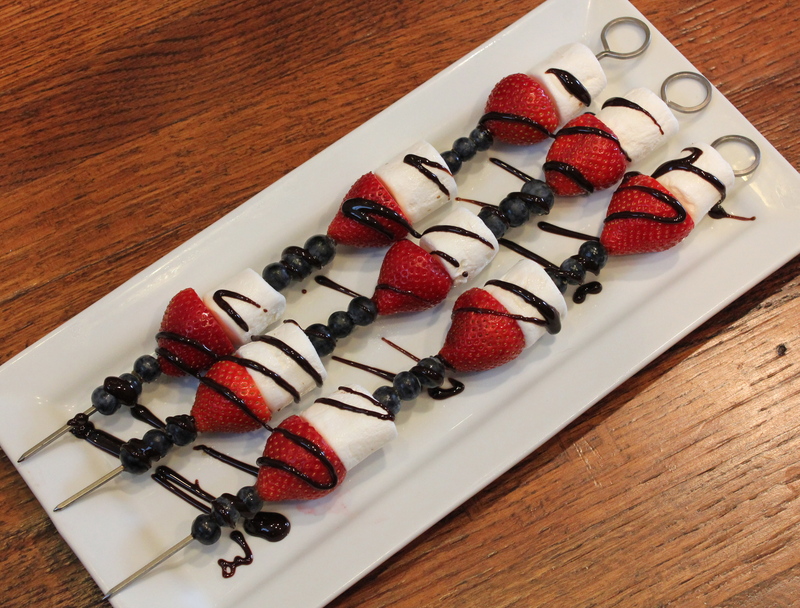 Thread berries and marshmallows on skewers, alternating with three blueberries, 1 strawberry and one jumbo-sized marshmallow. Drizzle chocolate syrup over fruit if desired.